The end is nigh. 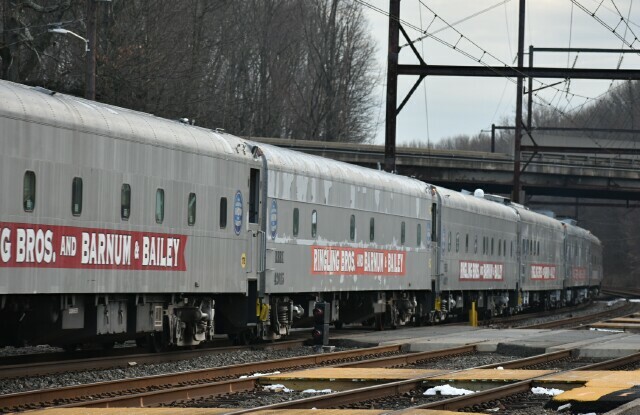 Today is the day of the last performance of the Red Unit of Ringling Bros. and Barnum & Bailey Circus in Providence RI. 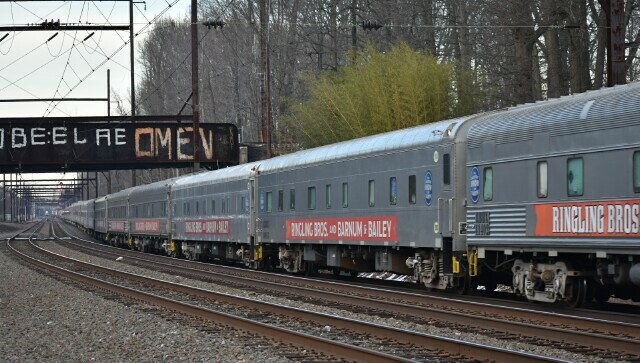 The Blue Unit will wrap up the final performance in history for the circus in two weeks on Long Island, so it's time to reminisce. 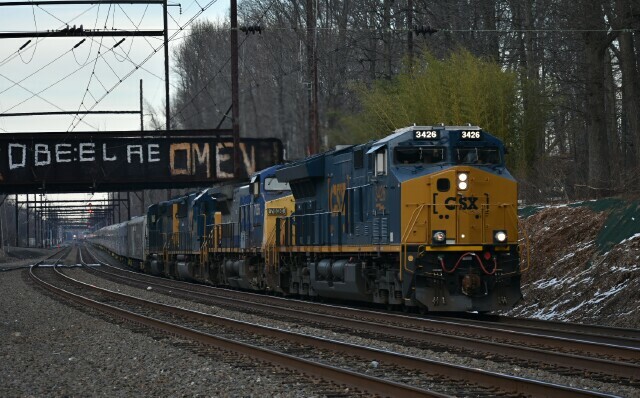 On March 13 the Blue Unit made a trip to Trenton New Jersey, coming down the Trenton Line, led by CSX ET44AH 3426 passing Woodbourne Station on route to CP Berry where the power would run around the train and take it up the Fairless Branch to Morrisville Yard. 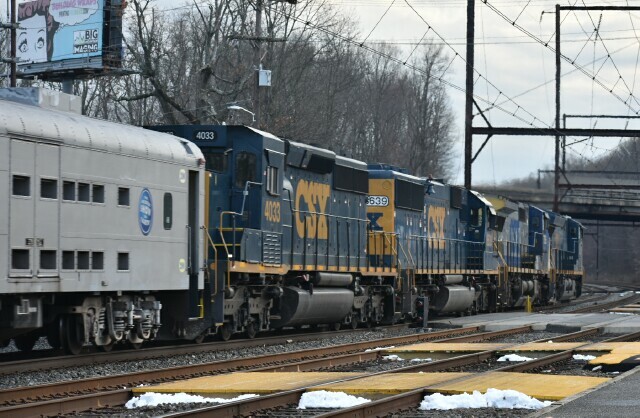 The run featured four locomotives, a GE-GE-EMD-EMD combo, including C40-8W 7836, SD50-2 8639, and CSX-rebuilt SD40-3 4033. A long silver snake winding its way west, a sight probably never to be seen again. All the cars were auctioned off last month. 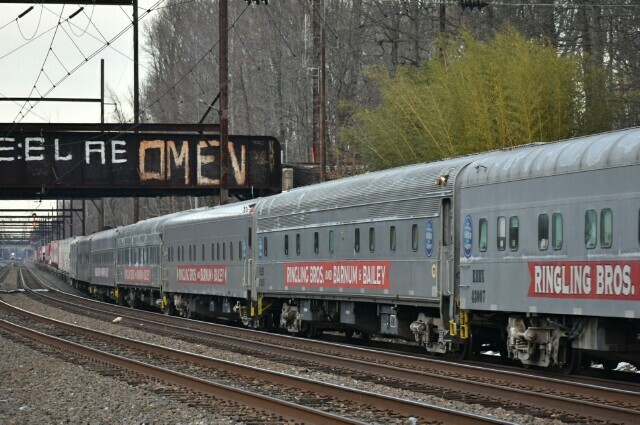 While the passenger cars will probably need a lot of work before starting a new career, the flat cars are probably good to go from day one. 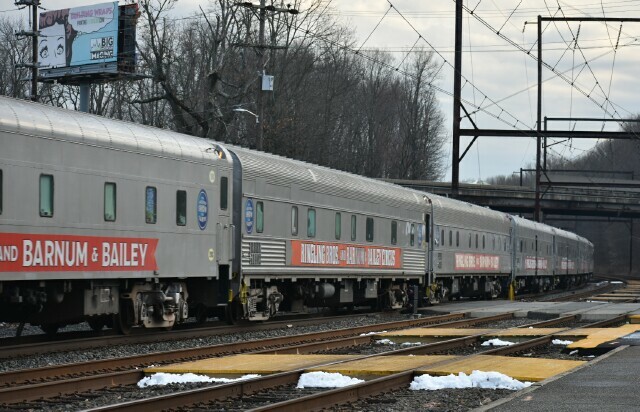 Hopefully some of the ancilliary equipment like carts and wagons will be preserved.